Are You Creating Resistant Parasites? Along with super weeds that are resistant to herbicides, bacteria that no longer succumb to antibiotics, there are parasites that are no longer bothered by worming medication. The problem first began appearing in New Zealand, South Africa and South America, and is now emerging in the United States. Who’s to blame? We are. But just like the parasites change and become resistant, we can change too. So here’s how we’re creating resistant parasites and how we can stop. 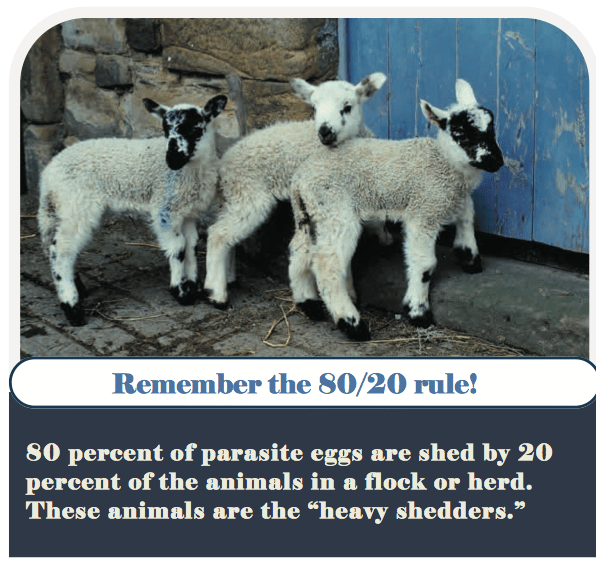 Any time you treat your livestock with an antiparasitic, there are a few in the bunch that just don’t succumb. They become the potential foundation of an entire resistant population of parasites. Their offspring inherit the resistance gene, they send the resistance on to the next generation, and so on and so on. 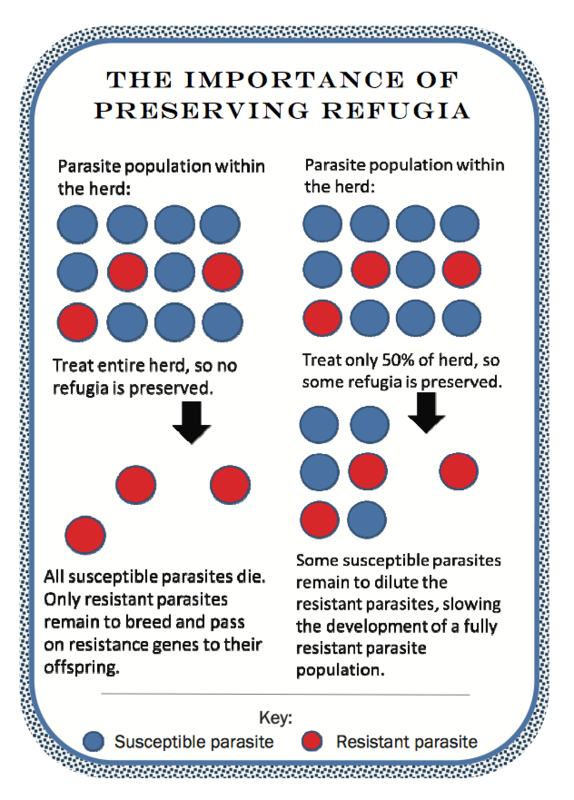 BUT, if you keep non-resistant parasites in the mix, they dilute the resistant parasites, slowing the development of a fully resistant population. Treat every animal in the herd. This increases the chances that we eliminate all the susceptible parasites, leaving the resistant parasites behind. Frequent, routine deworming without determining if treatment is necessary. This gives the parasites more opportunities to adapt, eliminates susceptible parasites and leaves the resistant behind. Deworming animals when the environmental refugia is low. I used to do this. I figured the chances for my herd to remain parasite free were better if I treated my goats when there were probably few eggs on the the pasture, like after a harsh winter or a hot, dry summer. Turns out what I was unknowingly doing was increasing the proportion of resistant eggs in the environment. Bummer! Deworm without knowing if the drug is effective on the farm. Using a less effective drug may worse the resistance. Again, this can speed up resistance. Using dewormers for things they’re not meant for, like to increase weight gain. Sure, you may see some short term profits, but in the long-term you’ll suffer from economic losses from the negative effects on herd health of your resistant parasites. We can’t prevent resistance in parasites, but we can slow the process. In addition to avoiding the items in the “Don’t Do This” list, here are some things we can do to stay ahead of the game. Treat only the animals who really need it. Animals can live with some parasites. Use clinical signs and diagnostic test results to determine which parasites you have, the level of infection, and level of resistance (more about this in an upcoming article). Use drugs that are effective based on your testing and always follow the directions on the drug’s label. Remember that part of the label the says how much of the drug you should use based on the animal’s weight? It’s important. Under-dosing just makes the parasites sick, and that old saying “Whatever doesn’t kill me makes me stronger” applies to parasites too. If they survive, they’re likely to become resistant. It’s not always practical to weigh all the animals in a herd, but at least think about this and consider options for improvement. Identify and cull animals who shed the most eggs. Keeping records will help you figure out which animals need to go. Deworm animals when infective larvae are highest on the pasture to maximize environmental refugia. There are two especially good times for this. First, when temperatures and humidity are high giving the warmth and moisture parasites need to develop into infective larvae. Second, 4 to 8 weeks after females in your herd/flock have given birth when they are shedding more eggs than normal. Use management practices in concert with drugs to treat and control them. • Rotate pastures with other livestock species or horses. • Drag pastures to break up manure piles. 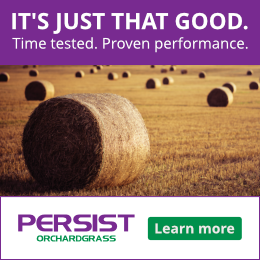 • Keep pasture grass taller. Most, but not all, larvae live within an inch of the ground. Grazing short grass exposes animals to more larvae. 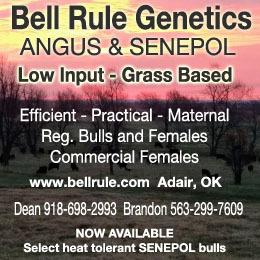 • Maintain a stock density that doesn’t force animals to graze near manure piles. “The goal of a well-managed and sustainable antiparasitic strategy for cattle and small ruminants should not be to make them 100 percent parasite free. Animals can have some parasites and still be healthy and thrive. “Learn to live with a low burden of gastrointestinal parasites in the herd. Be sure this low worm burden has a corresponding low level of pathogenicity [ability to cause illness] and does not compromise animal health. Stay tuned for more on testing for parasites and for parasite resistance. I attribute the increase in parasite resistance in my flock of 100 ewes, with 165% lambs weaned and raised, all on 39 acres, here in southwest Michigan to one thing; An effort on my part, to supply the Full Spectrum of Nutrients. Here’s my experience; Three years ago I was doing 2 and 3 wormings per year and still having animals suffering anemia, bottle jaw, with unthrifty wormy lambs, compared to last year I had 17 ewes that looked like they could use a worming in May, and that was IT, no more bottle jaw, and doing good on the famacha score as I would run them through a couple times during the summer. This big a difference on basically the same ewes. So what exactly is doing the trick? All I can say is; I don’t know. But my aim is to give the sheep adequate nutrition with an emphasis on micro nutrients. 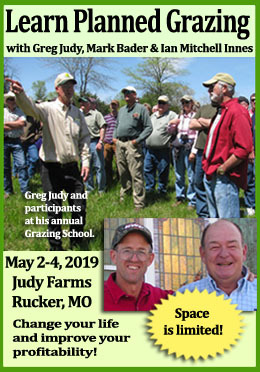 So for starters, rotational grazing of deep rooted, multi-species, perennial pastures, and fertilized with the nutrients that are determined to be lacking. On my property they were Calcium, Sulfur, copper, boron, and cobalt. I also do a significant amount of strategic bale grazing of purchased hay, and wheat midds plus sugarcane molasses, fed on pasture, which also adds to the soil fertility. It depends on the season and nutritional needs but a common mineral mix consists of equal amounts of Salt, Diatoms, Kelp, Dynamin, Humates Then I also add the micro-nutrient pack from Pipestone vet. and occasionally some additional COWP’s and cobalt sulfate. I would disagree with dragging pastures, nematodes are relatively immobile over distance, where they’re laid is where they stay, dragging would spread manure around and consequently spread the parasite burden over more area, furthermore the manure is host to beneficial organisms, including dung beetles. Dragging destroys the manure pat were some of the beetle larvae exist. The natural tendency for grazing species is to avoid their own manure, which reduces their exposure to parasites. Cattle avoid grazing the regrowth were there was a manure pat from the previous rotation, sheep however will readily graze this graze, cattle will readily graze where sheep manure (or any other species) regrowth is.